A Pair of stylish classic chrome plated brass pipes with flanges, designed to give your radiator pipework a clean uniformed look. 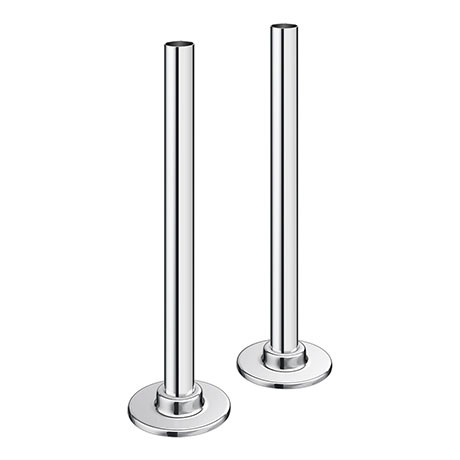 The kit comprises of a pair of 180mm water carrying pipes and concealing plates which come in a polished chrome finish. These were suggested when to me when I picked the rail which was very useful. The website made recommendations about what I needed once adding the product to my basket which saved me time searching around on the website. Excellent quality goods and a fair price.